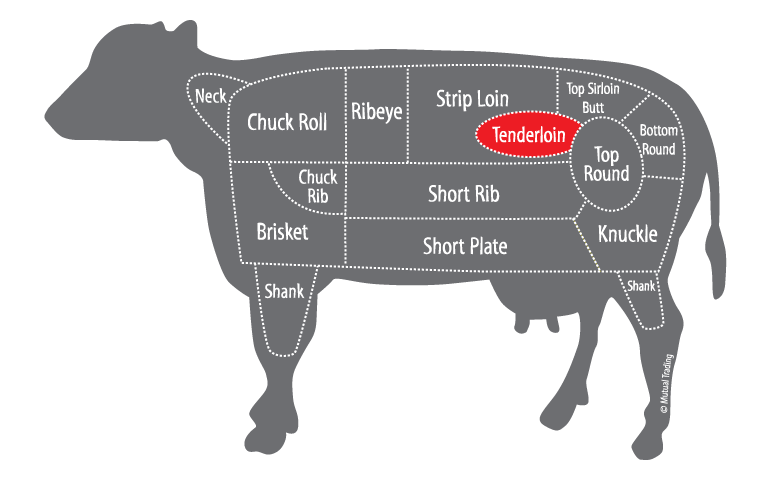 One of the most esteemed cuts in high-end restaurants beloved for its succulent, buttery texture: the tenderloin. This long, narrow muscle runs parallel to the spine right below the Striploin separated by a thin bone and it is the only muscle that receives the least amount of exercise; hence its tenderness. Known to be one of the highly sought-after cuts and many charge a premium as the yield is only about 15-18lbs (7-8kg) per cattle. Typical beef tenderloin only contains minimal fat, however, tenderloin from Miyazaki Cattle have noticeable marbling which adds more moisture and delicate sweetness to the cut. 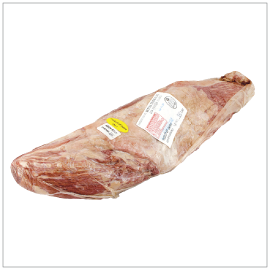 Best for steaks, cutlet or roast. Serve medium rare to fully indulge the texture and flavor.